If you’ve been holding off on getting the 3G-enabled version of the Kindle—and you don’t mind dealing with an occasional ad—now might be the ideal time to strike. Amazon just announced that its Kindle 3G “With Special Offers,” which originally went on sale back in May, is getting a $25 price cut to $139. The $25 price drop for the ad-supported Kindle 3G comes courtesy of AT&T, which is sponsoring the “Special Offers” version of the 3G-enabled e-reader. OK, but what kind of advertisements are we talking about here? According to CNET, the “Special Offers” flavor of the Kindle only serves up ads in the screensaver and in a small banner at the bottom of the home screen—and never while you’re deep in a novel. Fair enough. The just-announced discount bring the 3G-enabled “Special Offers” version of the Kindle down to the same price as Barnes & Noble’s new Nook—the one with the touch-sensitive display, no keyboard, and a smaller shell. Enticing, no doubt—but for now, there isn’t a 3G version of the touchscreen Nook. 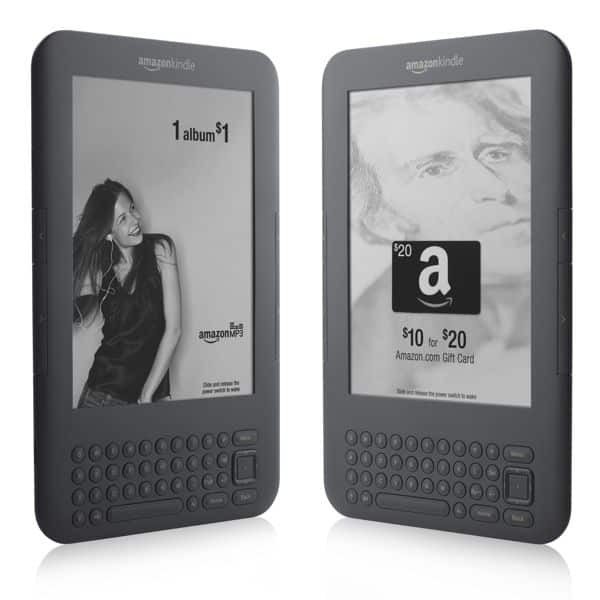 So, what do you think: would you be willing to deal with a few ads on the Kindle if it meant saving twenty-five bucks?